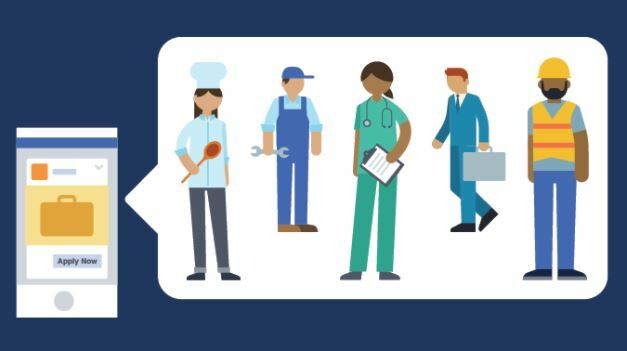 Facebook users from different parts of the globe will soon be able to look and apply for a local job using the social media platform. The social media giant recently announced that its job search and application feature is being rolled out in more than 40 different countries, including Brazil, Spain, and the UK. The feature was initially only available in Canada and the US. The job search feature allows users to search job openings and apply for them directly on the company’s site or mobile app. Meanwhile, improvements made to the feature allows companies with Facebook pages to post their job openings online easily, go through the applications and reach out to shortlisted candidates through Messenger. What’s more, job applicants can also subscribe to a company’s job listings. According to Alex Himel, VP of Local at Facebook, the company has seen “a lot of organic activity of businesses trying to hire.” He even cited a Morning Consult Poll that showed that one in four people in the US alone had either looked for or found a job on the platform. And with more than two billion users globally, Facebook is perfectly placed to connect job seekers with local enterprises who are looking to fill low to medium-skilled job vacancies. The job search and application tool is a free feature. Companies and job seekers don’t have to pay anything to gain access. While companies can pay for Facebook ads in order to boost their job post to improve applications or target particular candidates, it’s not a requirement. Job postings can be seen on the user’s News Feed and on Facebook’s Marketplace and Pages. Facebook users can narrow down their job search based on job category and type. It should be pointed out that the job creator only has access to information on the user’s account that’s publicly available. Applying for a job reportedly takes just a few steps and the user has complete control over what personal information will be shown in the application.